There are several old boundary stones (or boundary markers ) around Bollington, marking the old borders of Bollington with Rainow, Kerridge, Shrigley and Prestbury. 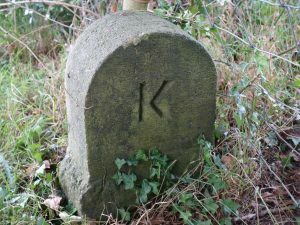 The example pictured above is a boundary stone, on which the letters ‘K’, ‘B’ and ‘R’ are inscribed on three faces, indicating that it is positioned at the junction of the boundaries of Kerridge, Bollington and Rainow. 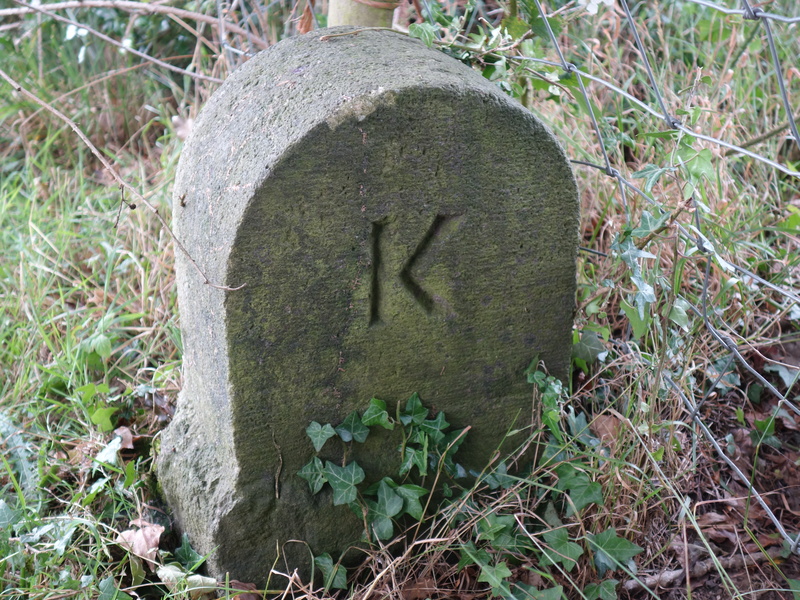 Parish boundary stone ; in fields north of Lowerhouse Mill, early 19thC. Not publicly accessible. 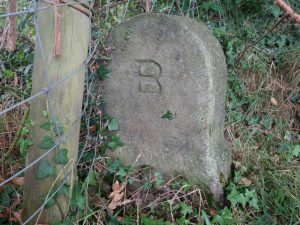 Parish boundary stone ; in fields northeast of Lowerhouse Mill, early 19thC. Not publicly accessible. 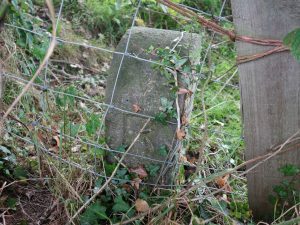 (Listing applied for 14/08/2018) Parish boundary stone; in field hedge east of Cow Lane (pictured above), early 19thC stone marking junction of boundaries between Bollington, Rainow, and Kerridge. Not publicly accessible. Boundary stone, Ingersley Road ; in the wall opposite the Poachers Inn on Ingersley Road, early 19thC. Parish boundary stone ; close to the barn at Sowcar Farm, c.early 19thC. Not publicly accessible. There is a further stone on a field edge not far from this parish stone which has not been listed. Parish boundary stone, Shrigley Road ; 18thC. The original stone was seriously damaged in a road accident and has been replaced in June 2009 with a new and larger stone bearing the same inscription as the original – S (Shrigley) on one face, B (Bollington) on the other. The stone stands at an angle to the road because the boundary crosses the road at that angle! 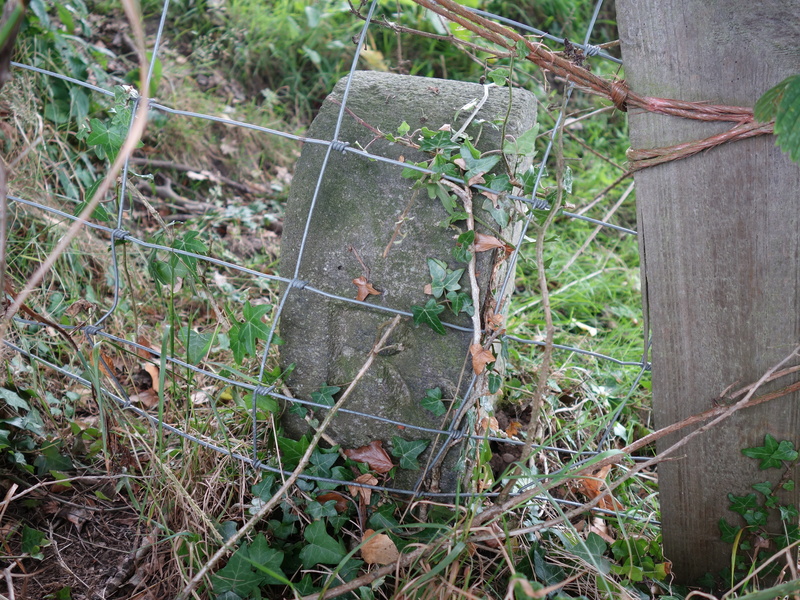 Parish boundary stone ; in fields northeast of Nab, early c.18th/19thC. Not publicly accessible. Estate boundary stone ; dividing two quarries on Kerridge Hill, 1830. Not publicly accessible. Parish boundary stone : in the wall at Ivy House (now called Marksend House), Kerridge Road, Marksend, late 18thC, early 19thC. Most links in the listed items are to the Images of England web site provided by Historic England (HE).